Hi everyone! I hope you've had a great weekend so far. 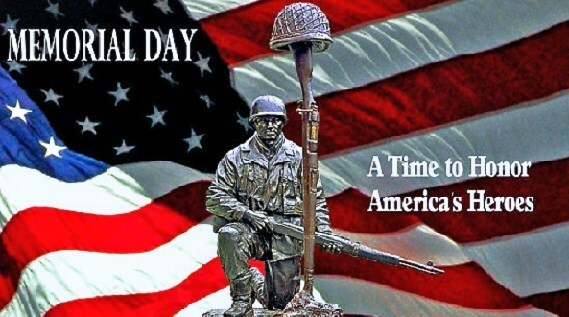 Most of you will be enjoying a nice long weekend celebrating Memorial Day. To those of you that have or are serving, I say "Thank you!" I hope everyone enjoys time with family and friends because that's what America is all about! I wanted to let you know of a week long room series I'm starting tomorrow. Each day I'll reveal one of my five basics needed for starting and creating a beautiful room. I started thinking of this because 1.) We're remodeling and I'm in the process of making big changes. 2.) My Niece and her husband just bought a new home and she says she's going to need help because in her words, "It's a blank canvas!" Where do you start? Hopefully these tips will start you in the right direction! So starting tomorrow be sure to check back each day for my 5 basics to creating a beautiful room!